Creating environments that support seniors to live healthy, active and safe lives and participate fully as valued members within their communities is one of the most effective approaches to address issues related to the aging demographic trend. This guide will be a useful tool for anyone who undertakes an AFC initiative. It provides direction regarding the broad principles and parameters recommended by the World Health Organization, but within a New Brunswick context. 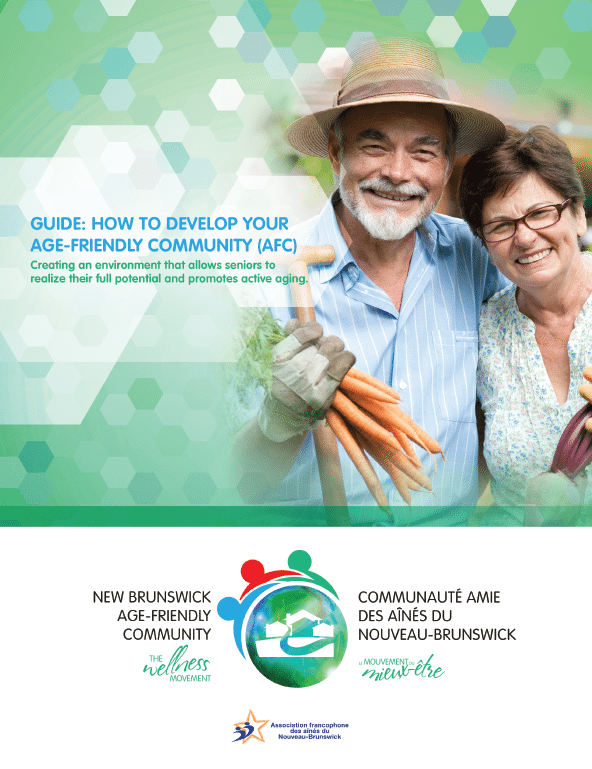 The intent is to encourage the AFC movement to take root in all New Brunswick communities.